Innovative platforms like Raspberry Pi have made learning about computers and electronics more accessible for interested minds, motivating and encouraging people of all ages and walks of life to explore the possibilities that these platforms provide. The team behind Piper aims to do exactly that with their Raspberry Pi-based learning platform, which TNW Deals is offering up for a limited-time discounted price of $239. With Piper’s Raspberry Pi Computer Kit, the driving force behind electronics education is the gaming sensation Minecraft. 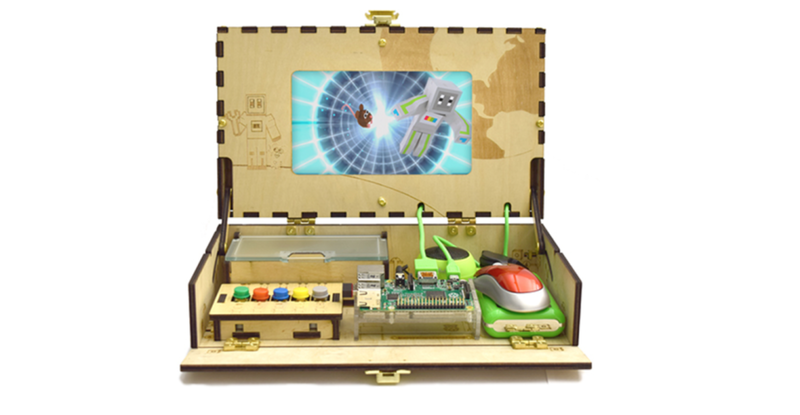 Kids all over the world already invest countless hours building and playing within the popular 3D gaming environment, but Piper uses a modified version of the game – running on Raspberry Pi – to walk players through creating circuits and interacting with them. As you assemble the customizable box, you can play Minecraft on an accompanying screen. The story follows a robot who becomes damaged while on an astronaut-rescue mission to a hostile planet. Advancing through the game requires creating different projects that will aid the robot’s mission. You’ll build a controller to navigate through the game, adding switches to reveal secret doors, and more. Connect to Wi-Fi for extra levels and sharing capabilities! There’s no limit to the designs you can come up with as you learn the inner workings of computer electronics, and you can even upload your own mods upon completion. Finally, a way to have real fun as you learn to create and invent with technology. Take 18 percent off today on TNW Deals.